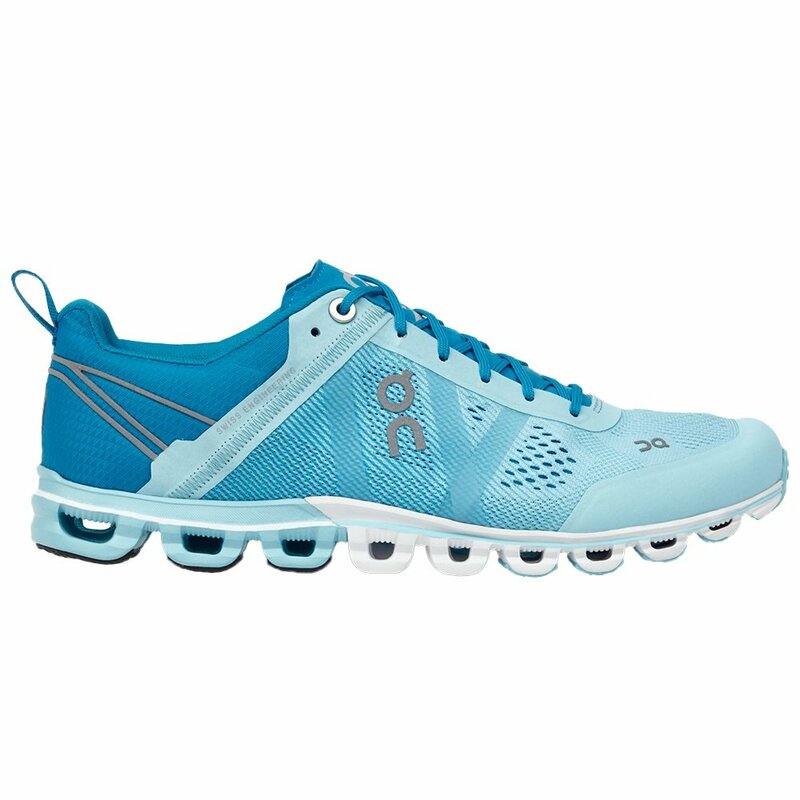 Whether you're looking for the edge on race day, or just need a little extra boost on your regular runs, the ON Cloudflow Women's Running Shoe is designed to give you exactly what you need to go a little bit further and a little bit faster. The ultralight midsole takes the shape of "Clouds" made from Zero-Gravity EVA Foam, so you get pillow soft impacts on footstrike and powerful energy return when you push off. Paired with the snappy and responsive Speedboard supporting and protecting your foot gives you a fast running shoe that still keeps you comfortable for the miles ahead. "I am looking for the right ON shoe for marathon training. I am a neutral and also a mid foot striker. Need both a shoe for long runs and short runs "
"Thank you for your inquiry! You have picked a very good match for your needs. These shoes will give you the performance that you need while also providing comfort for the long haul. See our whole line of On Cloud Women styles left in stock. We hope this information helps!" "Are these slip on or do the laces tie"
"The On Cloudflow Running Shoe are lace up. Hope this information helps!" Soo happy I found these shoes! I'm getting back into running after taking a few years off. I used to run in Nike Frees, being the only shoe I knew much about. I used to run about 3 miles back in the day but now I am trying to up that and maybe take a shot at running 10k or a half marathon in the future. These shoes motivate me. They are so light yet offer perfect support. The blue haze color is absolutely beautiful and I love looking down to see these babies on my feet. Not owning many other types of running shoes I can't give you much in comparison but I did try on many other brands and styles in the store with the help of the sales associate and these ones fit like a charm, I knew right away they were going to be coming home with me. My feet haven't hurt on any of my runs including the 5.1 miler I did two days ago.